Our big announcement is that we’re biting the bullet and are going to give you an in-depth study of that horrible, dry, wasteland in our national history: Prohibition. 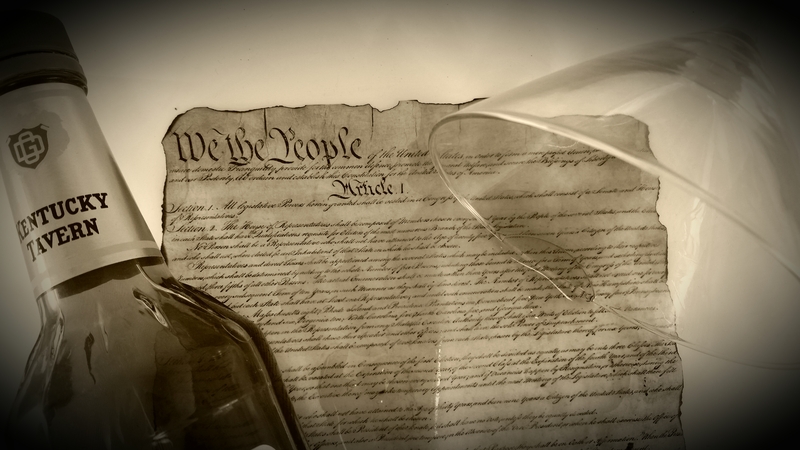 The 18th Amendment to our great Constitution. These three segments will be the meat of our next three podcasts. You’ll still get our usual podcast content as well: News, Bourbon Cocktail of the Day, Tasting, and 2/2 M.D.’s agree. We’ve been researching and reading quite a bit, it’s going to be great, and we hope you enjoy it! Throw one back for freedom in the meantime! P.S. If you haven’t yet, follow us on Twitter at @BOTBBourbon or on our Facebook page here. We try and update these a lot with stuff that isn’t big enough for the podcast blog. Particularly now that it’s bourbon hunting season! Nice to hear two Physicians talking about something other than meaningful use!! I’ve never been a regular bourbon/whiskey drinker, but I think your changing my way of thinking!!! Thanks for your response! We’re thrilled to have you join the ranks in a good appreciation of bourbon: the best medicine!